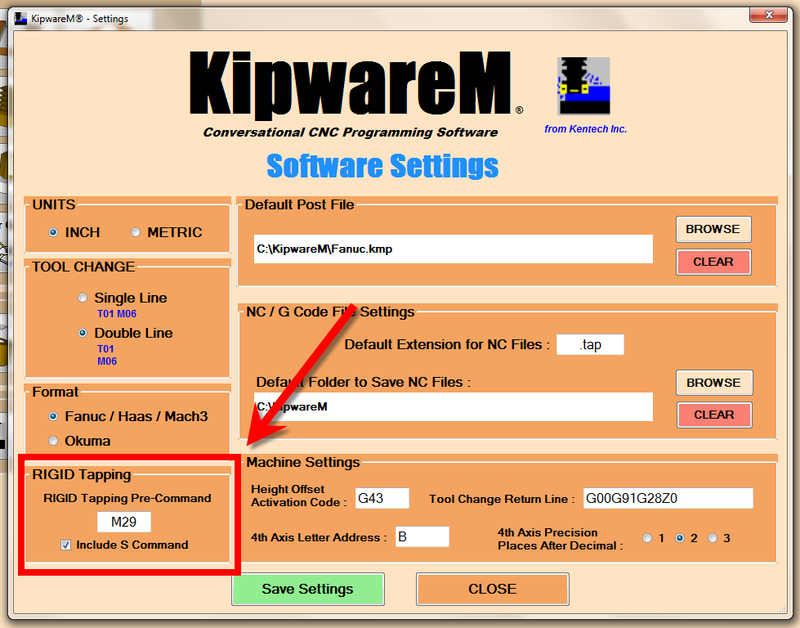 Kentech Inc. is pleased to announce the release of Version 17.0.0 of our KipwareM® – Conversational CNC Programming Software for Milling. Some controls … like Okuma … require the pre-command but do not require the S command. With this new upgrade … KipwareM® will format and output the code according to this SETTING … and will carry the appropriate S command value and place it on the pre-command line if desired. Also … on all hole menus … a new field has been added for the user to define the PERCENTAGE of calculated FEEDRATE to use when generating the G code program. All feedrates calculated through KipwareCSF® will now be output using a 100% value for the feedrate calculated. Previously … we had a built-in factor of 90% to accommodate non-rigid tapping … where the standard 90% of actual feedrate is used to allow the compression holder to pull out just a little to avoid bottoming out the tap when tapping using a compression holder. We have removed that 90% factor … and all feedrates are now calculated to a 100% factor. 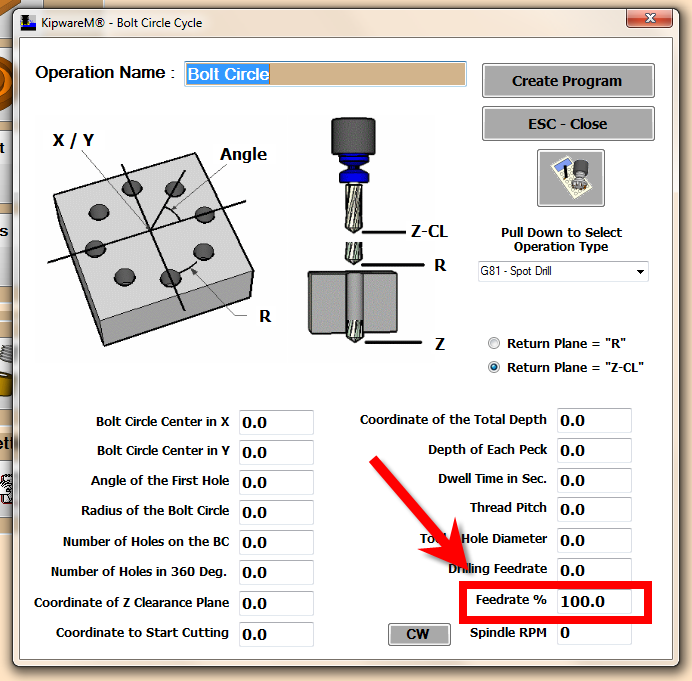 This field on the form allows the user to input a desired percentage factor if not employing rigid tapping … or to leave the default of 100% if employing rigid tapping. With almost all of today’s CNC machines having the capability of using rigid tapping … these new features in KipwareM® will keep pace with this trend … and allow both older CNC and current CNC users to employ rigid tapping … or not … quickly and easily with any KipwareM® program created. Profit from our 30+ years experiences with Tips and Tricks from machine maintenance to CNC programming to metalworking and chipmaking to machine shop management. We promise to provide REAL WORLD articles ... without the abuse.